Notes: The Castello della Dragonara is a defensive building located in Via Isola in Camogli, in the Paradise Gulf.According to some historical sources related mostly camogliese the town has been able to date to approximately the first half of the thirteenth century, the chances of the manor building. Even today there are no reliable sources on the actual date of construction as those known are mostly fragmentary or incomplete. 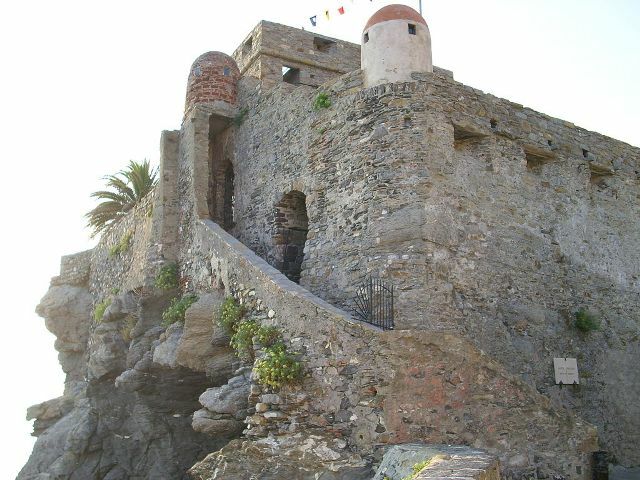 The original castle, perhaps smaller than the current version, was used almost immediately as a great center of sighting and defense is the village that the stretch of sea off the cliff on which the castle was built. In addition to the defensive system, the structure was used by the inhabitants of Camogli - camoglini - as a meeting to elect their representatives in the administrative - legal as well as a place of refuge in case of sudden attacks by sea from numerous pirates.